It's hard to believe after the rain and flooding Texas saw this spring, but we're suddenly in the throes of a drought. The US Drought Monitor, a weekly map that tracks drought conditions, shows East Texas to be in moderate to severe drought conditions, and most of North Texas to be at the first stage of drought, "abnormally dry." There are two kinds of droughts. The hydrologic, or long-term, drought can span years, even decades. Lakes and aquifers dry up, and the water supply gets scarce. We just got off one that lasted five years, alleviated by the rainfall last spring that refilled reservoirs. Our lakes are in good shape. What's affecting us is a short-term drought; think of this as an agricultural drought. 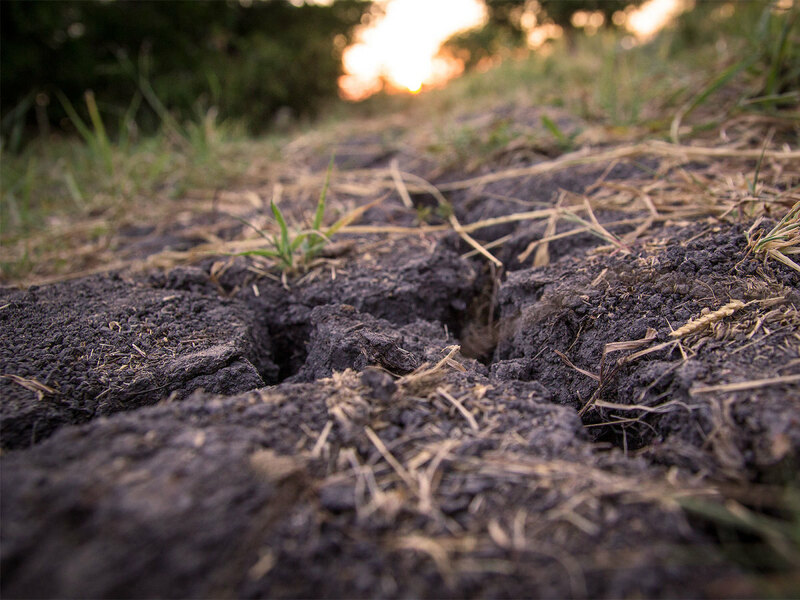 It means that there's not been enough rainfall in the past few months to keep crops or lawns watered. Usually in late June or July, we get a thunderstorm that replenishes the soil and makes crops thrive. But this year, continuously sunny days and hot temperatures have baked the moisture out of the soil and left the land parched. Droughts are a difficult thing to pinpoint, says Daniel Huckaby, meteorologist with the National Weather Service in Fort Worth. "There's a fine line between a normal summer and one with virtually no rainfall," he says. "DFW Airport hasn't seen rain since July 8, but there have been several days since with rainfall in the region." According to a forecast released August 13 by the National Oceanic Atmospheric Administration (NOAA), El Niño conditions in the Pacific Ocean are reaching historic levels; an NOAA staffer predicted that this one "could be among the strongest El Niños in the historical record dating back to 1950." Huckaby says that would ease this agricultural drought. "With strong El Niño conditions expected to continue throughout the upcoming cold season, the fall rainy season is likely to be wetter than normal," he says. The dry spell has resulted in lakes returning to normal after their flooded levels, which is good for boaters, but not so good for the agricultural industry. "Many crops are showing signs of heat and moisture stress," Huckaby says.